Phase one of Walton Arts Center’s expansion and renovation is almost complete! 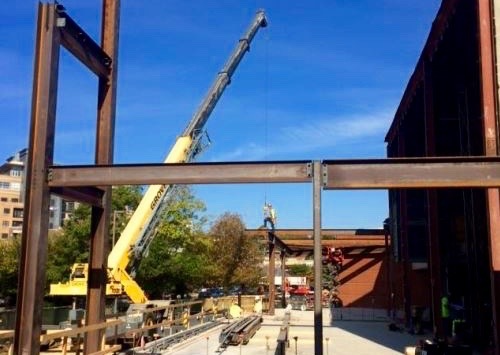 In July 2014, construction began on the City of Fayetteville’s new downtown parking deck which included plans for a liner building that would add over 16,500 square feet to house Walton Arts Center’s administrative offices and additional backstage spaces. Just barely a year later, the new parking deck and three story building are set to open in late October, just in time for the 24th season of programming! 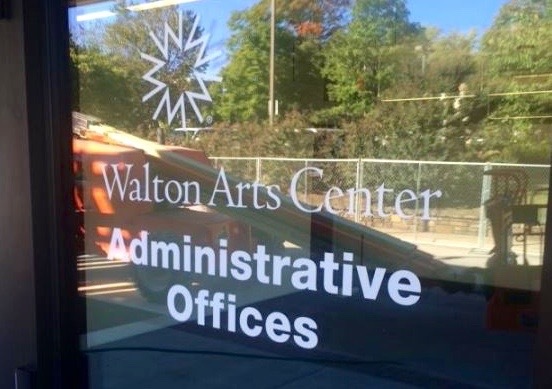 The top floors of the new office building will house Walton Arts Center’s staff while the ground level will connect to WAC’s backstage spaces which include a new wardrobe and wig room, production offices, a laundry room for touring companies, a crew lounge and musical instrument storage. For several years, Walton Arts Center transformed Starr Theater into storage to accommodate larger Broadway productions. The new backstage spaces will provide additional, much needed space for large touring productions and allow Starr Theater to be a fully functional, black-box theater throughout every season beginning in 2016. Walton Arts Center is excited to see the completion of phase one, and we hope you will join us for a show during our Hard Hat Season while we are still under construction on phase two. Please visit our expansion webpage for more information, updates, ways you can contribute and to see the virtual tour. We look forward to seeing you during our this season!